Disclaimer: I participated in an Ambassador Program on behalf of Mom Central Consulting for Delta Faucets. I received a product sample and promotional item as a thank you for participating. I am beyond excited to announce that I was selected to be a Delta Faucet Mom Ambassador! Over the next few months I will be using the Delta In2ition Shower Head and sharing our experience with you. Yuck, right! It was B-A-D. Clogged holes and build-up meant you didn't even get a full stream of water in the shower. It was beyond time to have a new one and I am giddy to have such an awesome addition to our bathroom. Why am I loving my new Delta In2ition Shower Head? 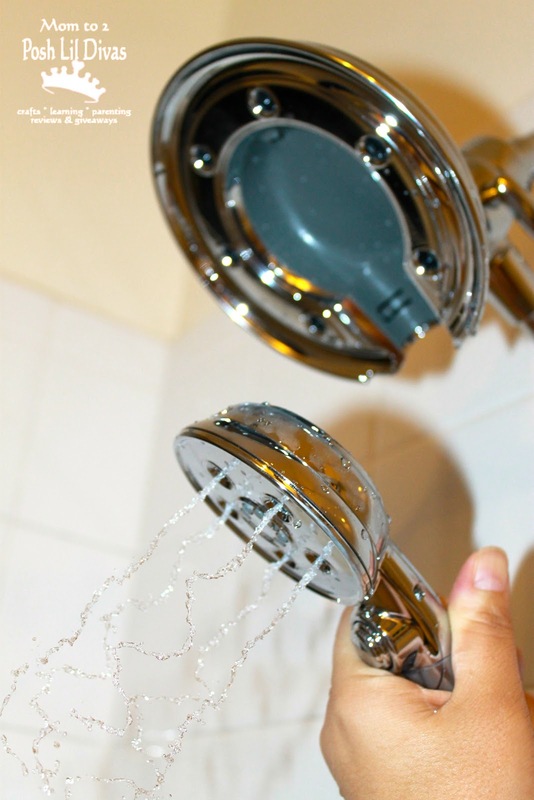 The Delta In2ition Shower Head looks great - it definitely adds to our bathroom. I can't wait to share more about the Delta In2ition Shower Head in the coming months. 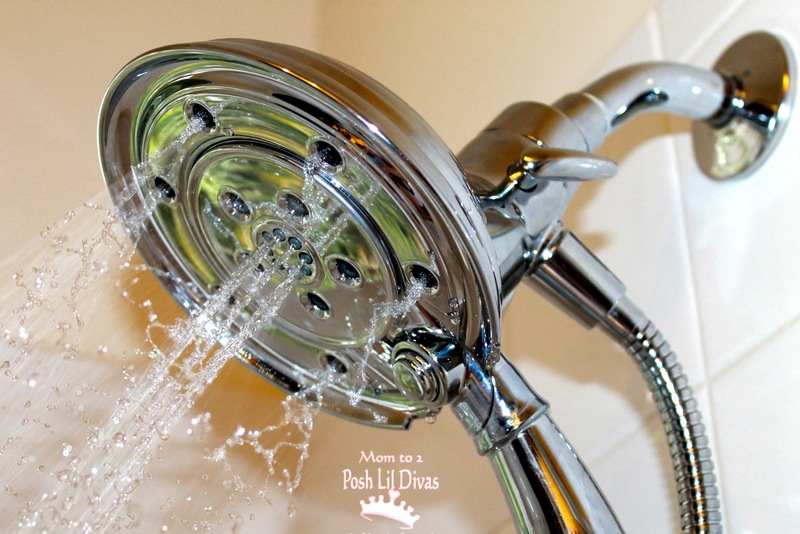 In the next post I am going to share how SUPER EASY the shower head was to install. I did it ALL BY MYSELF in less than 2 minutes. Seriously. How awesome is that? AMAZINGLY AWESOME! In the meantime don't forget to check out and connect with Delta via Facebook, Twitter, Pinterest and Instagram. oohhh! that looks niiiicccceee! i know that mine needs an upgrade for sure. A new bathroom is next on our list - I will have to check this out when the time comes. showing this to my husband so we can get one. glad you had a video so we could really see how it work and how easy it is. thank you for the info love your site!!! 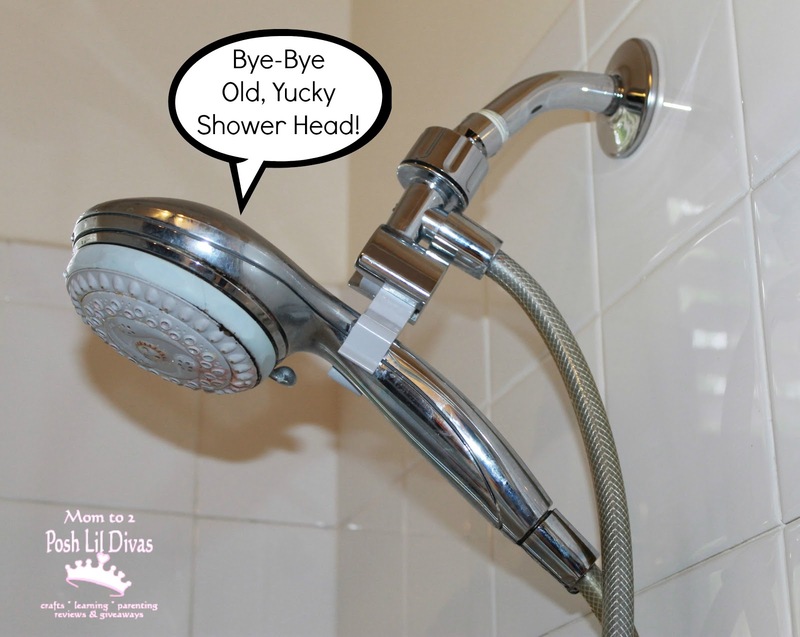 We really need a new shower head and I love Delta products (just updated the kids bathroom with some). Love the removeable head too! So cool! Delta makes awesome products!